Matt Carthey joined Holt Lunsford Commercial in January 2005 as a Market Associate for the Dallas Industrial Group where he was responsible for project leasing, acquisitions and development in the Northeast Dallas Submarket. 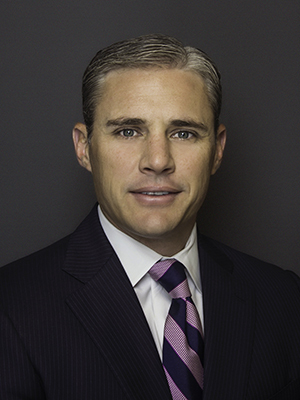 Currently, Matt serves as Partner and Managing Principal over the Fort Worth Office where he oversees all leasing, management, acquisitions, development and tenant representation divisions for office and industrial properties. Since opening the Fort Worth office in January of 2008 Matt and his team have grown to over 11 million square feet of leased and or managed properties and a team of over twenty-five professionals. Prior to HLC, Matt was an analyst for the multi-housing investment team at CBRE and a Marketing Associate for Swearingen Realty group. At Swearingen, Matt was responsible for lease and sale negotiations, market analysis and strategic planning for office and industrial clients. Matt is a graduate of Texas Tech University, holding a BBA in Finance with emphasis in Real Estate. Matt is actively involved in The Fort Worth Chamber, The Greater Fort Worth Real Estate Council, Colonial Country Club and Christ Chapel Bible Church. Member – Downtown Fort Worth, Inc.